Congratulations! 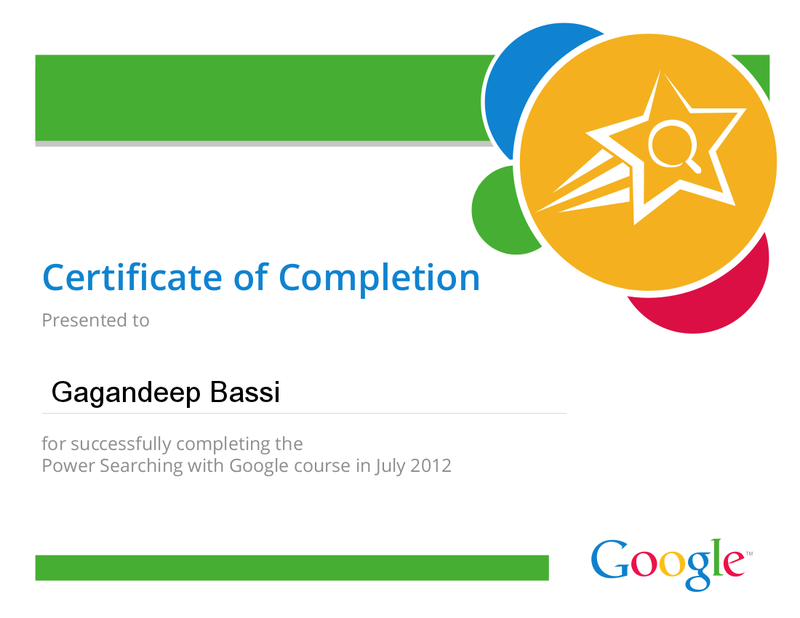 Here is the certificate you earned through your participation in Power Searching with Google. Below are your assessment scores.